Marquise shape diamonds have long been coveted for their alluring and sultry form of brilliance. 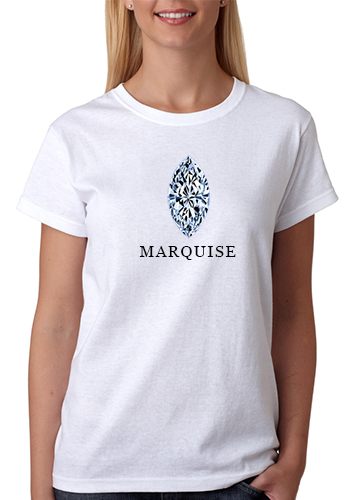 Now you can display your love of the marquise shape by owning and wearing the Marquise Diamond Shape T-Shirt from Ziamond. 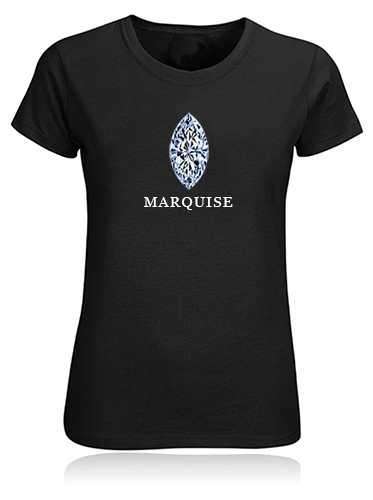 Whether you own a marquise diamond in your engagement ring or you just love the cut, you can now show your favor for this shape by wearing a beautiful image printed on this great marquise diamond tee. Studies show that the shape of diamond you prefer says alot about your personality. For example, marquise shape diamond lovers can display some of the following personality traits; extrovert, impulsive, loves to travel, aggressive, innovative, excited and career minded. 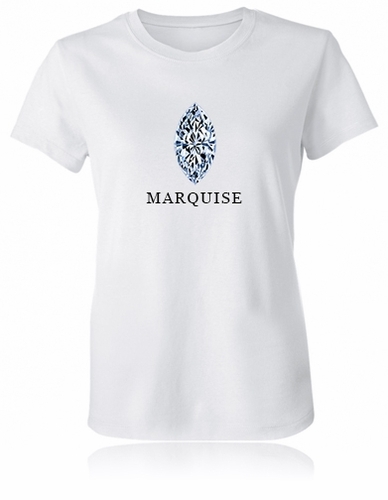 This t-shirt makes for an amazing gift for a loved one or a friend who happens to adore the marquise cut of diamond. 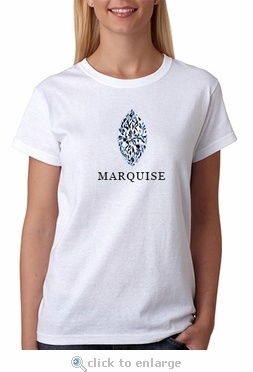 Each marquise diamond image is a high resolution picture printed with the most up to date apparel printing methods on super soft 100% cotton fitted ladies shirts. These t-shirts come in sizes small, medium, large, extra large and extra extra large. Available in white or black color shirts, but if you are looking for a custom color not shown, let us know and we look into it for you.